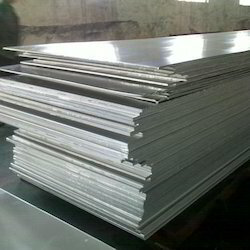 Aesteiron Steels Pvt Ltd is one of the leading manufacturers, suppliers and exporters of Aluminum Sheet & Plate. 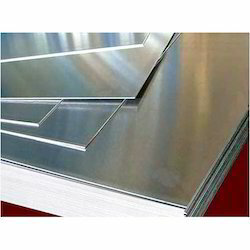 ASTM B209 Gr 3003 Aluminum, has high ductility & corrosion resistance. It has moderate strength. The strength of this alloy can be increased by cold working. ASTM B209 Gr 5050 Aluminum, is commonly used to manufacture refrigerator trim, coiled tubes & builders hardware. ASTM B209 Gr 5052 Aluminum, has very good corrosion resistance to seawater, marine & industrial atmosphere. It also has very good weldability & good cold formability. ASTM B209 Gr 5252 Aluminum, is wrought non heat treatable alloy. It has medium strength but retains its excellent corrosion resistance. ASTM B209 Gr 5254 Aluminum, is used in chemical & hydrogen peroxide storage vessels. 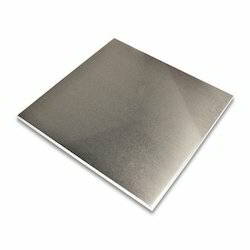 ASTM B209 Gr 5457 Aluminum, provides corrosion resistance, workability, strength & weldability. Its typical uses include fuel tanks, electronic mounting plates & panels, fan blades, refrigeration liners, utensils & strom shutters. 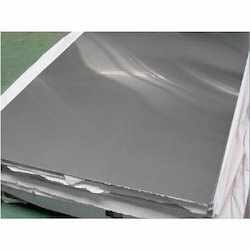 ASTM B209 Gr 5657 Aluminum Sheet, is a non heat treatable alloy that offers users workablity & medium strength. It can be welded with most conventional methods including resistance welding. It is used in a variety of industrial & commercial applications including automotive parts, utensils, aircraft fuel tanks, fan blades, refrigerator liners etc. 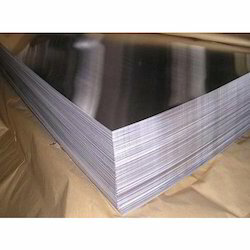 ASTM B209 Gr 2219 Aluminum, is used to manufacture structural components used in high temperature applications as well as high strength weldments. ASTM B209 Gr 3105 Aluminum, provides high strength at subzero temperature. It also has high ductility, high corrosion resistance & good weldability & formability. ASTM B209 Gr 5083 Aluminum is a high strength magnesium alloyed aluminium primarily used in the marine industry due to its excellent corrosion resistance especially to seawater. 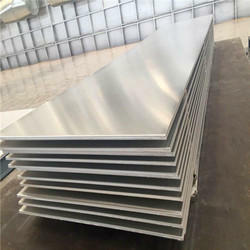 ASTM B209 Gr 7072 Aluminum, main uses are aviation fixtures, trucks, tower building, vessels, pipeline & other needs to have strength, weldability & corrosion resistance of building on the field of application. Such as aircraft parts, gear & shaft, fuse part instrument, turbine, aerospace & defense applications. ASTM B209 Gr 3004 Aluminum, has good machinability in the hard temper. It can be formed using conventional hot working or cold working methods. It can be annealed by cold working. It is used to manufacture storage tanks. ASTM B209 Gr 3105 Aluminum, has high strength at subzero temperature. It also has high ductility, high corrosion resistance, good weldability & formability. ASTM B209 Gr 5005 Aluminum, is a medium strength alloy with very good resistance to atmospheric corrosion & very good weldability that is highly suitable for decorative anodising. ASTM B209 Gr 5086 Aluminum, has higher strength than 5052 or 5083 & its mechanical properties vary significantly with hardening & temperature. Its applications are shipyard, tank cars, patrol & work boat hulls. ASTM B209 Gr 5454 Aluminum has very good corrosion resistance in particular to seawater & general environmental conditions. It is typicaly used in road transport, chemical processing plant, marine & off shore. ASTM B209 Gr 5456 Aluminum, has strong corrosion resistance, good strength & it is useful for structural purpose because of its weldable charactertics. 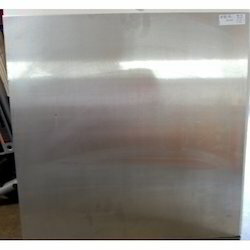 ASTM B209 Gr 7075 Aluminum, can be hardened by precipitation heat treatment. It is mainly used to manufacture aircraft & other aerospace. 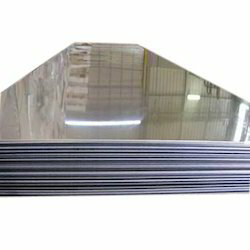 ASTM B209 Gr 7178 Aluminum, is difficult to be cold worked. It can be welded by resistance welding methods. It has good machinability, especially in the annealed state. 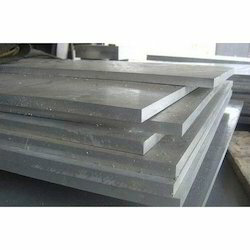 ASTM B547 Gr 1060 Aluminum, is known for the strong corrosion resistance. The alloy is sensitive to high temperature. It is widely used to manufacture of railroad tank cars & chemical equipment. ASTM B548 Gr 1100 Aluminum, is widely used in fin stock, heat exchanger, decorative parts, giftware, cooking utensils, rivets & reflectors. 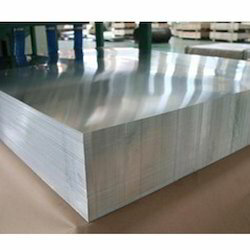 ASTM B548 Gr 3004 Aluminum has high corrosion resistance. Its strength can be reduced when it exposed to high temperature. It is commonly used to manufacture storage tanks. ASTM B548 Gr 5050 Aluminum, has very good corrosion resistance & good workability properties. It is non-heat treatable alloy. It is commonly used to manufacture coiled tubes, refrigerator trim etc. 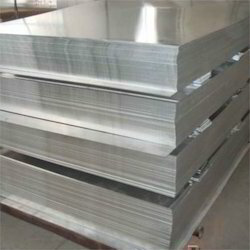 ASTM B548 Gr 5052 Aluminum, is a non heat treatable alloy that is weldable. It has good forming characteristics & good corosion resistance. It is hardened by cold work. ASTM B548 Gr 5083 Aluminum, is known for exceptional performance in extreme environments. It is highly resistant to attack by both seawater & industrial chemical environments. ASTM B548 Gr 5086 Aluminum is a high strength magnesium alloy. It is primarily used in the marine industry due to its excellent corrosion resistance especially to seawater. ASTM B548 Gr 5086 Aluminum, is a high strength structural alloy. It is not heat treatable. It is commonly used to manufacture welded pressure vessels, marine, transportation equipments etc. ASTM B548 Gr 5454 Aluminum, has very good corrosion resistance, particularly to seawater & general environmental conditions. It is typicaly used in pressure vessels, containers, boilers, chemical processing plant etc. ASTM B548 Gr 5456 Aluminum, has good strength & its useful for structural purpose because of its weldable characteristics. ASTM B548 Gr 6061 Aluminum is one of the most extensively used of the 6000 series aluminium alloys. It is a versatile heat treatable extruded alloy with medium to high strength capabilities. ASTM B626 Gr 6061 Aluminum, provides structural strength & toughness. It offers good finishing characteristics & responds well to anodizing. 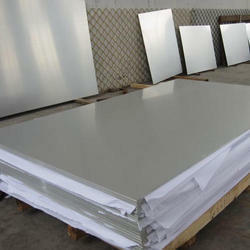 ASTM B209 Gr 1060 Aluminum, is a low strength alloy. It has good corrosion resistance. It has excellent cold working characteritics & conventional methods are used to readily cold work this alloy. ASTM B209 Gr 1100 Aluminum, is a pure aluminum alloy with excellent forming characteristics. 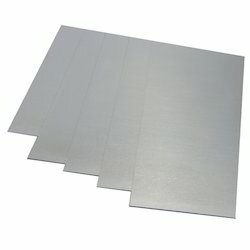 Hot working can be easily performed on aluminium. It is widely used in heat exchangers, decorative parts, cooking utensils etc. 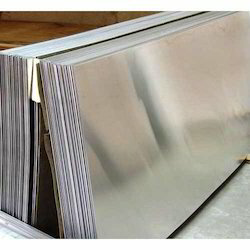 ASTM B209 Gr 2024 Aluminum Sheet & Plate, is an aerospace aluminium with cold finished or extruded aluminium wrought product providing high to moderate strength, very good machinability & weldability with improved stress corrosion cracking resistance. ASTM B209 Gr 2014 Aluminum, has good machinability in the annealed condition & usage of kerosene or oil is recommended for this machining process. ASTM B209 Gr 6061 Aluminum, has properties such as high strength, good toughness, good surface finish, good corrosion resistance to sea water, good weldability, workablity & brazability.